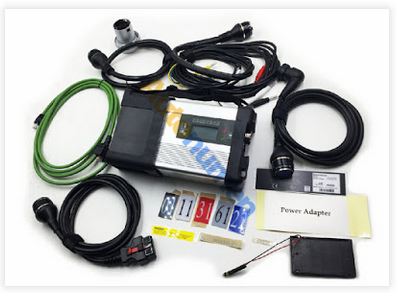 Real Benz diagnostic tool DoIP Xentry Connect C5 came as the newest star diagnosis system in the year 2017. it’s 1:1 clone of the original. Same as the one produced by French ACTIA Company, can test Engine /Transmission / air conditioning /SRS.ABS/ anti-theft system and OBD-II system, for basic diagnostic, SCN coding & ECU programming. What’s new? & what is updated, compared with sdconnect c4? 2 support the newest hybrid W222. 3 has an Ethernet switch, which switches the TCP/IP messages in the event of DoIP diagnosis to the vehicle side. 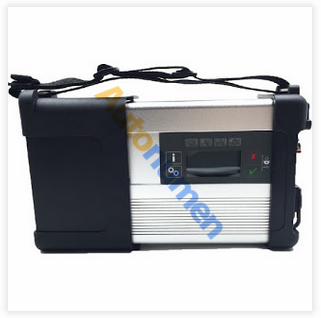 4 has a qualitative improvement in hardware and software by authorization of diagnostic interface to control the software. Software: All BENZ diagnostic software 2017.9 is loaded into the Xentry Connect multiplexer itself. The licensing system is reworked – now licenses are stored on MB servers – Any license changes are tracked by the multiplexer when connected to the Internet network. Undoubtedly, the original c5 with Panasonic tablet from the ACTIA Company is excellent … But … Its price is disheartening. The cost of the Japanese tablet is realistic to buy pieces of eight new laptops or tablets from other manufacturers.